At Langan, sustainability is part of corporate DNA. Clients around the globe have tapped into Langan’s expertise to help make their projects perform better from an environmental standpoint. Still, Langan recognized that it could do more, with respect to how it operates as a firm, to develop its sustainable practices and services. 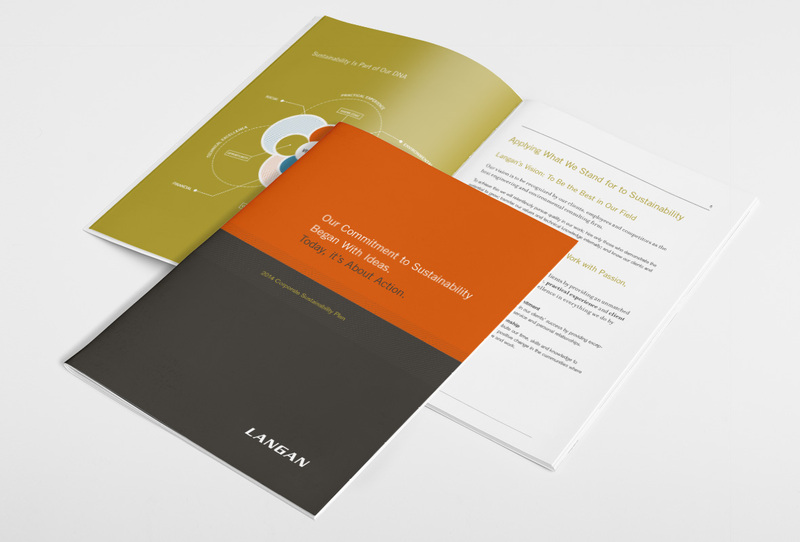 Langan approached Substance151 to help develop the message and design for its first ever, formal, Corporate Sustainability Plan that would be distributed to internal and external stakeholders. 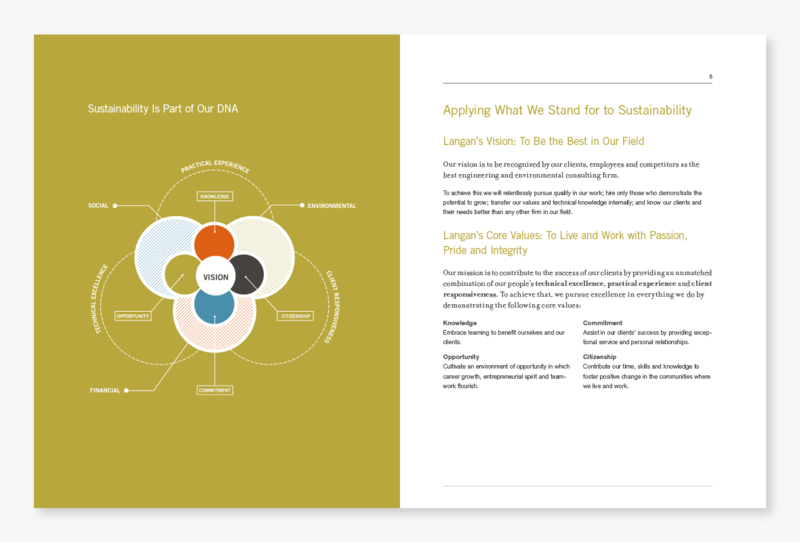 Taking Langan’s sustainability team through a series of interviews, we developed a plan that communicates Langan’s commitment to sustainability in the context of its core values. 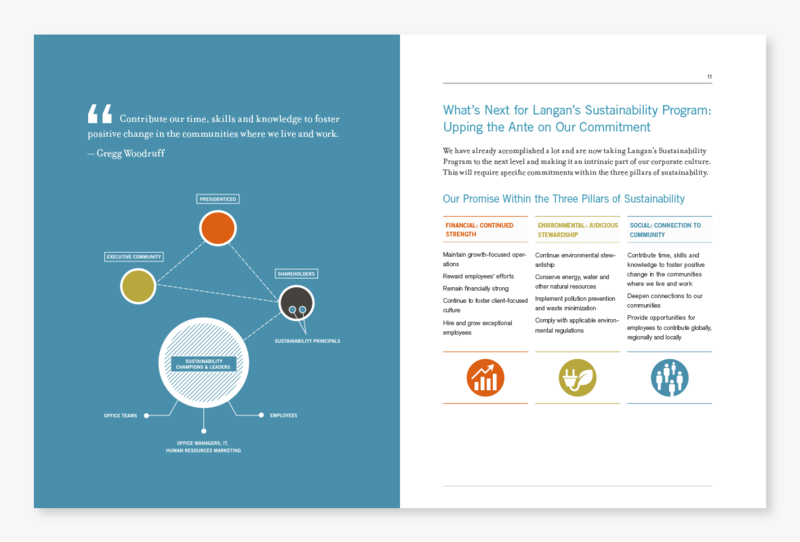 The plan lays out a systemic strategy to expand the firm’s sustainable practices and services – from formalizing employee-led, “green,” grassroots efforts to minimizing Langan’s environmental footprint in the communities where Langan lives and works.